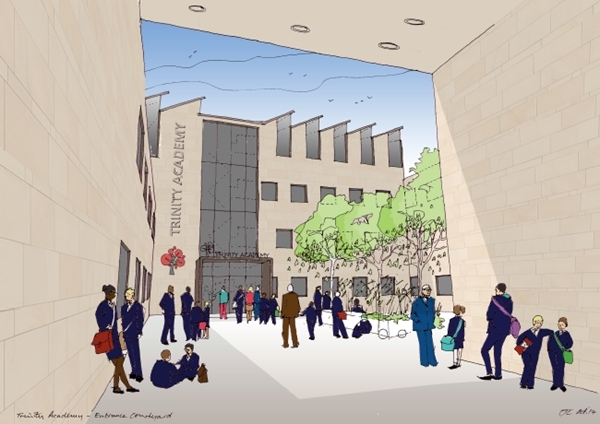 The Education Funding Agency (EFA) has confirmed the redeveloped site will be home to adult education and training facilities for Lambeth College, the new Trinity Academy and the 14-19 Southbank University Technical College in partnership with London Southbank University and employer sponsors. They say the new buildings and provision will aim to cater for almost 2,000 learners at a time. 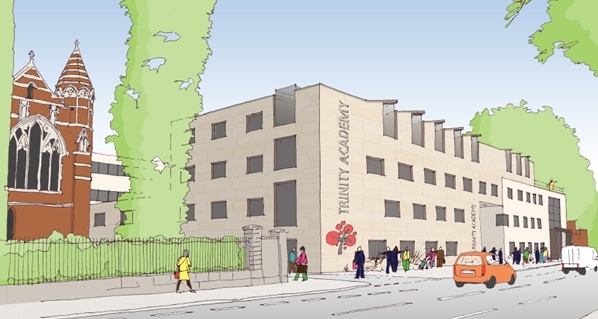 We welcome the news that residents will finally be consulted and that a University Technical College is to be part of the site, although we will be seeking safeguards on how the different uses of the site work together and affect local residents. The aim of the open forum will apparently be to provide an opportunity to share information and answer questions about the proposed scheme. The event will take place on November 19 from 4pm-8pm, at the Trinity Academy, entrance on Horsford Road, towards the back of the Lambeth College. This entry was posted in Blog and tagged Brixton Hill, events, Hayter Road, Horsford Road, Lambeth College, planning, schools, Torrens Road, Trinity Academy by Martin Tiedemann. Bookmark the permalink.